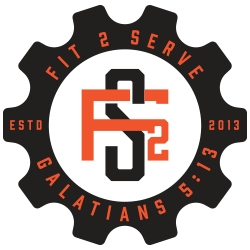 At CrossFit 2 Serve, we know that if you’re fit just for the sake of being fit, you’re missing out. Sure, you’re healthier, and your body can do more – but what’s the point? In order to live a happy life, you must develop more than your body, and that is why we get fit to help our community. It’s the only way we can empower our clients to truly be all that they can be. If you don’t believe that helping others is just important (if not more) than getting fit, we have scientific proof that reaching beyond yourself benefits your health. We are going to use the next three blogs to share this proof! 40 different international studies indicate that volunteering adds years to a person’s life. Seniors that have volunteered 100 or more hours a year are 28 percent less likely to die of any cause than those who don’t. The great thing is, you don’t have to be at an advanced age to see the benefits. A study of teens who helped younger kids once a week for two months showed that the teens experienced a drop in their cholesterol levels. That means that turning your attention has a tangible physical impact on you. Studies show that volunteering helps teens get better grades, and even more importantly, helps them have higher self-esteem. This is true for anyone who volunteers. Helping others prevents you from getting bogged down by life’s messes. Stay free! We hope that this blog has encouraged you to help others. Contact our CrossFit gym in Henderson, Nevada to learn more about strengthening yourself on the behalf of others!